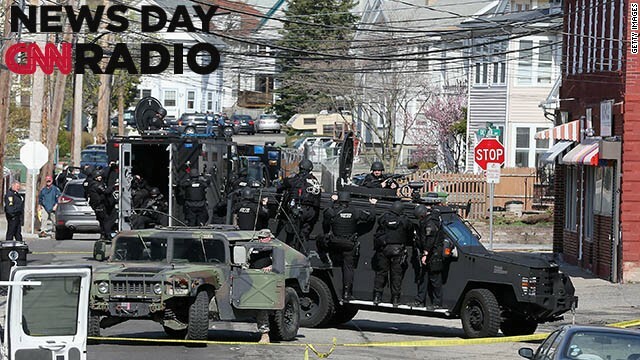 Members of a SWAT team search for 19-year-old bombing suspect Dzhokhar A. Tsarnaev in Watertown, Massachusetts. "They are indeed looking to see if these two men had any connections to overseas groups, frankly to overseas, terrorism. No conclusion about that yet. We want to emphasize that very strongly." "One of the criteria in getting your Eagle Scout Charge is giving back. So how do you give back later in life? You're not allowed to if they were not to accept you tomorrow because you're an adult, but they except you today as a Scout."